Our SUPER SWEET Solberries deliver a tropical BURST OF FLAVOUR and are a UNIQUE new variety Add them to your favourite recipe, or just DEVOUR them straight out of the pack! We have developed a new variety as a special tropical delight. Unique to Maungatapere Berries in New Zealand be sure to ask your retailer to stock them from late Summer to Autumn. These berries are a delicate peachy-yellow colour and are different to anything else you’ve tried before. 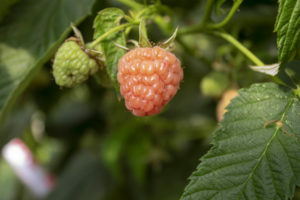 Solberries taste almost floral, with a tropical flavour and are less tart than raspberries. The sweetness combined with a mellow taste means they won’t overpower other foods you pair them with. Each berry is delicately hand-picked by our dedicated harvest team, and quickly taken to our on-site packhouse where they are immediately chilled and then gently packed, ready for you to enjoy. When are our Solberries Ready? Our Solberries have just been launched to the market and are currently available in selected Countdown Stores in Auckland.